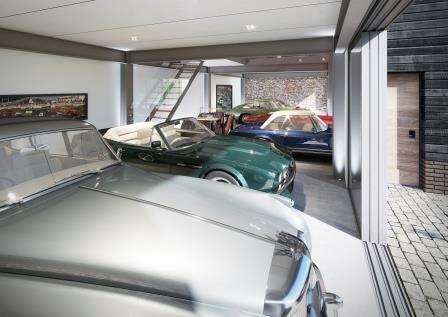 We designed this garage to accommodate our client’s classic car collection. 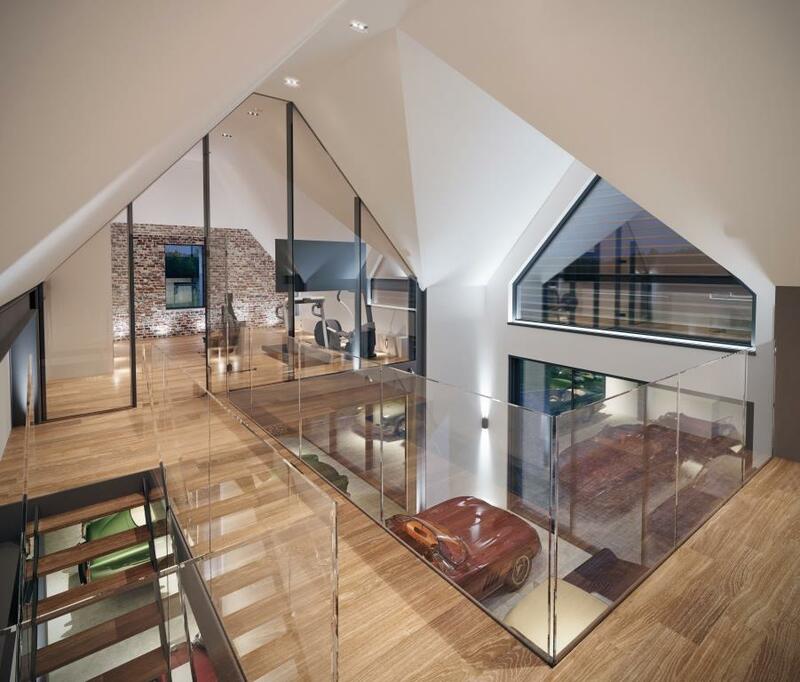 The interior has an exposed structural steel frame with painted concrete floors and internal rustic brickwork set off against clean plastered walls. 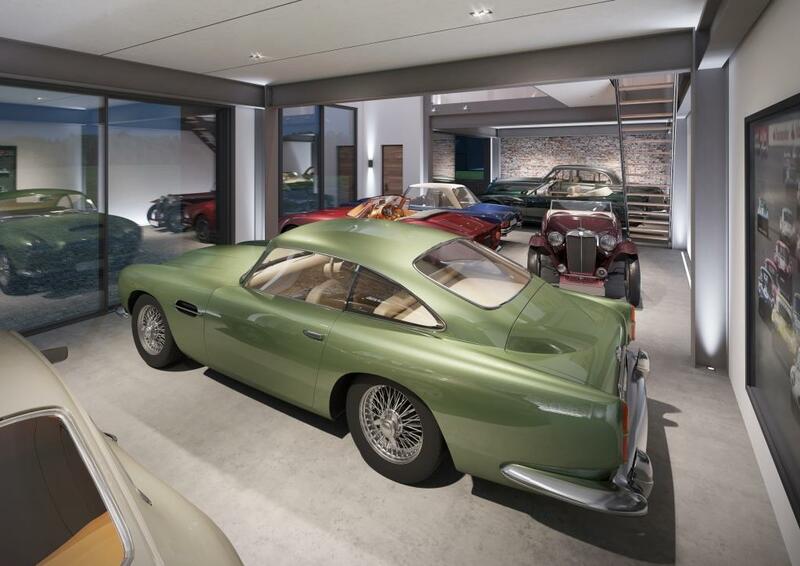 This industrial aesthetic allows the curvaceous beauty of the cars to stand out. 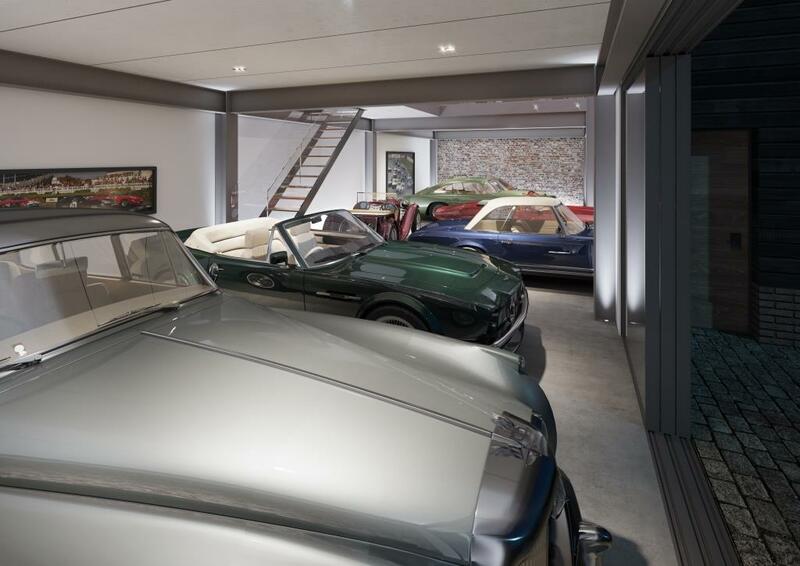 The garage has a bespoke lighting design to illuminate the cars beautifully at night ensuring the cars are as good to look at, as they are to drive.